Like most organizations, you are likely measured on the performance of your websites and applications. If you're strictly focusing on the internal factors that affect this performance, you may be missing out. Join us for this webinar where we will dive in to the end-to-end intricacies of the Internet and where you should be focusing your time, money and resources. Jim has more than 20 years' entrepreneurial and software development experience in high performance computing, network modeling and simulation, web services, and security. Prior to founding Renesys, Jim was a principal at Cooperating Systems, a consulting services company that provided rapid software prototyping and technology planning for advanced research and development in academia and industry. With a long-standing interest in the Internet’s impact on security and collaboration since 1995, he authored the first web-based collaborative environment for cryptographic key factoring. 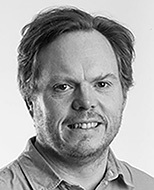 Jim is the primary architect of SSFNet, the first open- source network simulation framework to support transparent parallelization and multiprocessor execution. Jim holds a B.S in computer science from Yale University. 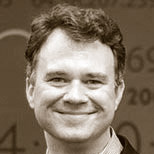 Andy is co-founder of Intechnica, a vendor independent IT performance consultancy. Andy's main interest is developing high usage, highly performant websites and helping others to do so. He also focuses on improving the integration of performance into every stage of the development cycle with a particular interest in the integration of performance into the CI process. Andy is the author of the O’Reilly book "Web Performance Warrior" and is one of the organizers of the Web Performance Group North UK and Amazon Web Services NW UK User Group. He regularly blogs at Internet Performance Expert, Performance Patterns, and started the programming initiative Progvember.